Kris Temple is an international event presenter, stadium announcer and broadcaster, with over 15 years' experience at top level sporting events, such as the Olympic Games and numerous World Cups & World Championships. Kris Temple is an international event presenter, stadium announcer and broadcaster, with over 15 years’ experience at top level sporting events, such as the Olympic Games and numerous World Cups & World Championships. His recent assignments include being a Stadium Announcer at the 2018 FIFA World Cup in Russia, Stadium Presenter at Wembley Stadium for England football internationals, Stadium Presenter for cricket’s Vitality Blast T20 Finals Day, and Stadium Announcer for the 2018 World Indoor Athletics Championships. You can regularly hear Kris across the BBC, broadcasting on the 5 Live & World Service networks, as well as regional radio & television. Kris was the announcer for the debut of Rugby Sevens at the Olympic Games in Rio de Janeiro, and also for the athletics competition at the Paralympic Games. 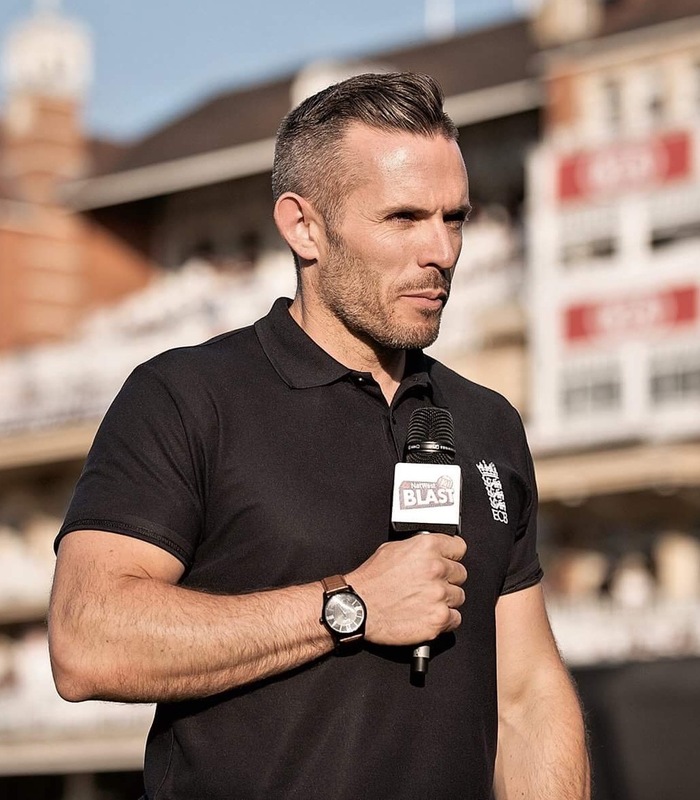 He’s an Announcer for MCC at Lord’s Cricket Ground, including the Rugby World Cup, the Cricket World Cup and the UEFA European Championships among his other presenting credits. Kris is available to host events, conferences and awards ceremonies across various disciplines. He comperes Premier League football club end-of-season awards, testimonial launch dinners, industry conferences and even MC’s weddings! His experience also includes presenting industry-leading events inside the Nou Camp, Barcelona, and on the pitch at Santiago Bernabeu in Madrid. His style is extremely versatile, and his skills as a live broadcaster translate perfectly into the events industry, to react to any circumstances that present themselves.